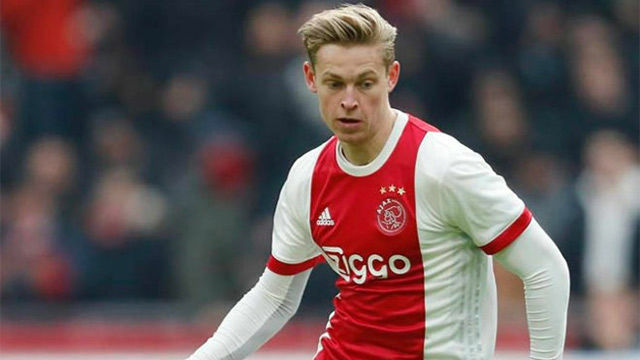 Ajax are panicking over Frenkie de Jong's fitness ahead of their Champions League game against Real Madrid this week. De Jong ended this weekend's surprise defeat at Heracles with a knock and is currently a doubt for Madrid's visit in the last 16 of the Champions League. 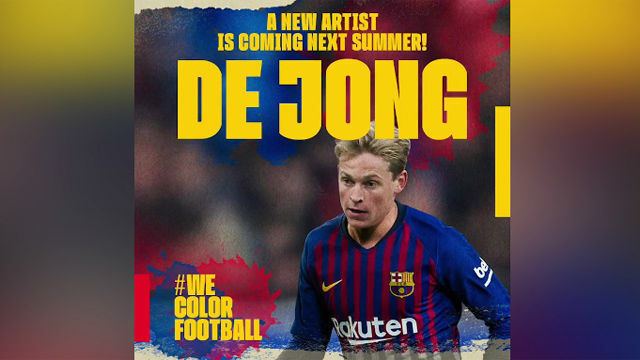 The midfielder, who will join Barcelona in the summer for 75 million euros, had to be taken off in teh 79th minute of Saturday's Eredivisie match. But Ajax remain hopeful that it's just a slight knock and the Dutch international will be ready for Wednesday's game. Ajax impressed in the group stages against Bayern Munich but face a Real Madrid side who have come back into form in recent weeks. Santiago Solari's side drew at Camp Nou on Wednesday and beat Atletico Madrid 3-1 on Saturday.